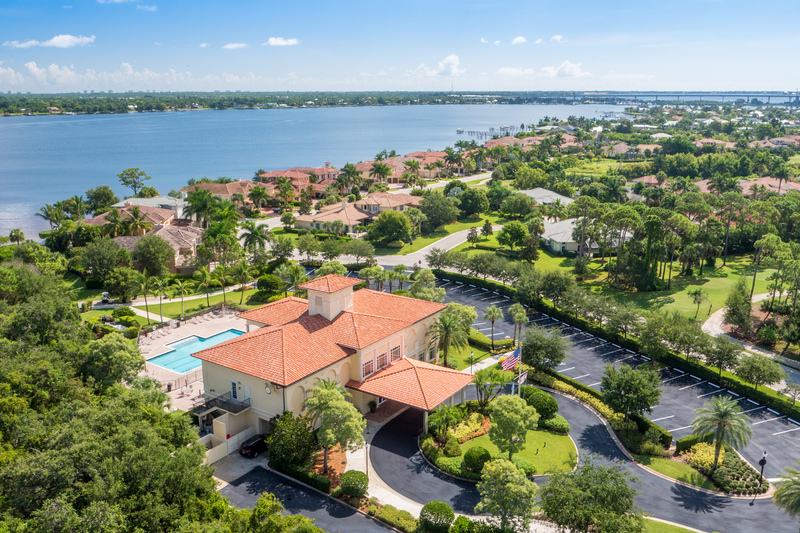 Palm Cove, originally known as Cutter Sound, is located in Palm City, on Mapp Road, north of Martin Downs Blvd., nestled between Bay Pointe, Seagate Harbor, and Lighthouse Pointe. Palm Cove is situated on the tranquil waters of the St. Lucie River, one of the last wide water properties on Florida's Treasure Coast. This non-equity golf and boating community offers the relaxed, luxurious, atmosphere of country club living without the mandatory fees. to shopping, dining, and beautiful sandy beaches. Symphony Homes, and other local luxury home builders. 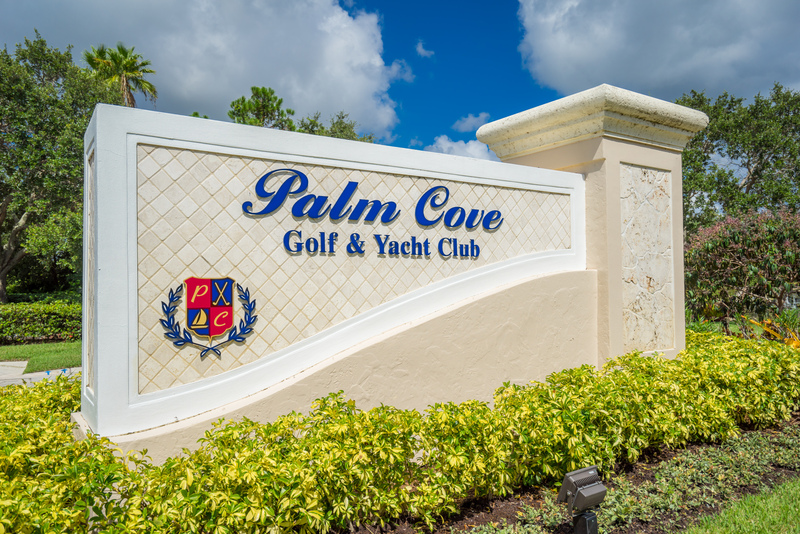 The amenities offered at Palm Cove G&YC include a world of social opportunities and include a beautiful Riverfront Club House featuring a fitness center, outdoor heated pool, children's playground, dining room and bar for catered functions, and property manager on-site. Whether you are looking for a primary residence or seasonal vacation home, Palm Cove G&YC offers the very best in South Florida real estate. From condominiums to waterfront estate homes, prices range from the low $200,000s to over $2 million. 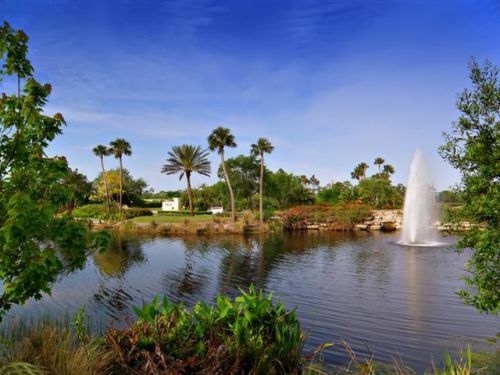 This diverse community, made up of all age groups, boasts resort style living with boating, golfing, tennis, a playground for youngsters, restaurant for everyday casual dining, and beautiful natural surroundings. Three elementary schools, a middle school, and four County parks are located within Palm City offering many sports and boat ramp access. Public and private golf courses are available countywide and fishermen have their pick of marinas with charter boats and private dockage. Shopping areas are located in two town centers with the Post Office and Fire/Rescue Department within a few miles and 2 hospitals just over either one of the two main bridges leading into Stuart. Witham Field Airport and Palm Beach International make air travel convenient. Monthly association fees take care of 24 hour security, common grounds and roadways with unrestricted use of all amenities including the Riverfront Clubhouse, tennis, fitness center, barbecue patio, tot lot, pool and reserve fund. Each owner is responsible for the maintenance of their individual lot and residence. Our documents including Covenants and Restrictions, architectural guidelines along with other pertinent information are available for perusal. Palm City is a small town in Martin County, Florida. 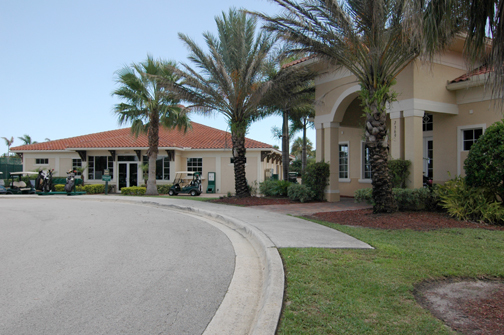 Known for its excellent schools, Palm City is primarily a residential community. Palm City is on the west side of Stuart Florida and stretches from the St Lucie River west to I95. Like the rest of Martin County, Palm City was a very small community and virtually unknown until the area began to see tremendous growth in 2000. But the growth is to relative the area is still very sparsely populated when compared with Palm Beach County to the South and St Lucie County to the North. The schools in Martin County Florida and Palm City, in particular, are excellent. Almost every school in Palm City is an A rated school. Palm City has three elementary schools, Bessey Creek, Palm City Elementary and Citrus Grove Elementary. All three are consistently “A” rated. Hidden Oaks Middle School is the middle school for Palm City and is an “A” rated school as well. Martin County has three high schools including Martin County High, Jensen Beach High, and South Fork. Martin County High is the default school for Orchid Bay and is about 4 miles from the community. Students can choose to attend Jensen Beach High and in some cases, students in special programs can attend South Fork. Adjacent to the St Lucie River and just minutes from the Beach, Palm City has a large boating community. 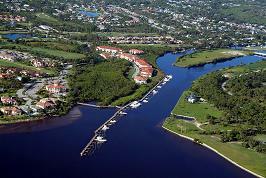 There are several marinas on the St Lucie River, which leads directly to the Intercoastal Waterway, the St Lucie Inlet, and the Atlantic Ocean. Stuart Florida, which is right next to Palm City is the home of several boat manufacturers and other marine-related businesses. The area is famous for offshore fishing and is known as the Sailfish Capital of the World. Coastal Living Magazine voted Happiest Seaside Town in America in 2016! Happiest Seaside Town in America! Jock Leighton Park is located a little over 1 mile North on Mapp Road with fields for football, soccer, and lacrosse. There is also a playground and skateboard park. A new fire station (built in 2005) is located off of SW Mapp Road within Palm City.